The five solas have come to be known as the benchmark by which Reformed belief and doctrine are understood. Sinners are saved by grace alone through faith alone in Christ alone as taught in Scripture alone for the glory of God alone. Each “alone” is vital to the whole, but I want to focus on the nature and meaning of Scripture alone. What do we mean by Sola Scriptura or “Scripture alone,” and how does this inform and speak to us today? The term reflects a scriptural teaching held by the Christian faith that all authority for Christian belief and life rests in the clear teaching of the Scriptures, centered on Christ and redemption. This means that the Bible ALONE holds the exalted place of ultimate authority for all biblical teaching concerning doctrine, salvation, ministry, morality, and Christian discipleship. Christianity rightly asserts that God has spoken His mind and will concerning all subjects necessary related to doctrine, salvation, ministry, morality, and Christian discipleship. This does not mean that human writing is insignificant, but it does mean that human writing is significant only in the sense that it rightly portrays and reflects ultimate truth as given in the Bible. The belief that Scripture alone is inerrant, authoritative, and sufficient for these things implies that the Scripture is clear and understandable, and it means that God holds the human race responsible and accountable for believing and practicing the Scripture. Therefore, all reference to Christian teaching, belief, worship, ministry, salvation, morality, and Christian living all must find the basis for understanding and practice in the teaching of the Scriptures. No other writing or teaching is equal with or superior to the Scriptures. And all human ideas must be judged by and measured by the teaching of the Scriptures. Challenges to “Scripture Alone” are found in both secular and religious contexts. However, we will limit our consideration to the challenges found in religious venues. In the church, we find a number of potent challenges to “Scripture Alone.” These include: (1) The belief that one can get an authoritative and conscience-binding message from God outside of the Scripture; (2) The idea that people beyond the apostolic era can write authoritatively and hold the consciences of others bound by their writing; (3) Erroneous interpretation of the biblical text and re-defining the meaning of biblical language in contradiction to the appropriate and natural meaning and characterization of language; and (4) The neglect of the teaching of the Bible and failing to study, understand, and apply to Christian and church belief, life, and ministry by those who claim to be Christian and biblical. These challenges are most commonly found in the modern era in the Charismatic, Liberal, and Church-Growth Movement. However, strains of these tragic mistakes concerning “Scripture Alone” can, and often are, found in many mainline Protestant and Evangelical churches. We must realize that the issue before us is one that strikes to the very heart of the gospel itself. We cannot maintain a biblical understanding of the gospel of Jesus Christ without rightly believing, maintaining, and asserting the belief of “Scripture Alone.” To hold aright this glorious and vital belief, we must as Christians and churches consider the following as a path to regaining and maintaining “Scripture Alone” in our Christian belief system and church life and ministries. I suggest that we consider four words that represent four vital components that must be included in the regaining and maintaining of “Scripture Alone” in our day. Conviction – Christians and churches will never hold to “Scripture Alone” unless we possess a deep and abiding conviction that the Scriptures are God’s inerrant, authoritative, and all-sufficient Word to us pertaining to God’s holy will for all matters of salvation and obedience to God in human history. Commitment – Based on this conviction, we must as Christians and churches make a commitment to the Scripture alone as our ultimate authority for doctrine and practice in the Christian life. Application – We must also seek to faithfully and practically apply the Bible and its teaching in every aspect of Christian and church life. To believe this doctrine without practicing the doctrine is a form of ultimate disbelief. Vigilance – This matter of “Scripture Alone” requires vigilance and constant alertness on the part of Christians and churches. Satan attempts to take away the Scripture from us; we must hold tenaciously to the Scripture in all matters. The church rises and falls on this issue: Will we be faithful to the holy Scriptures as given to us by God? John Greever is a professor of Bible at Missouri Baptist University and pastor of First Baptist Church in Fenton, MO. He is a part of the leadership team of Founders Midwest and is an occasional speaker at the annual Southern Baptist Founders Conference Midwest. 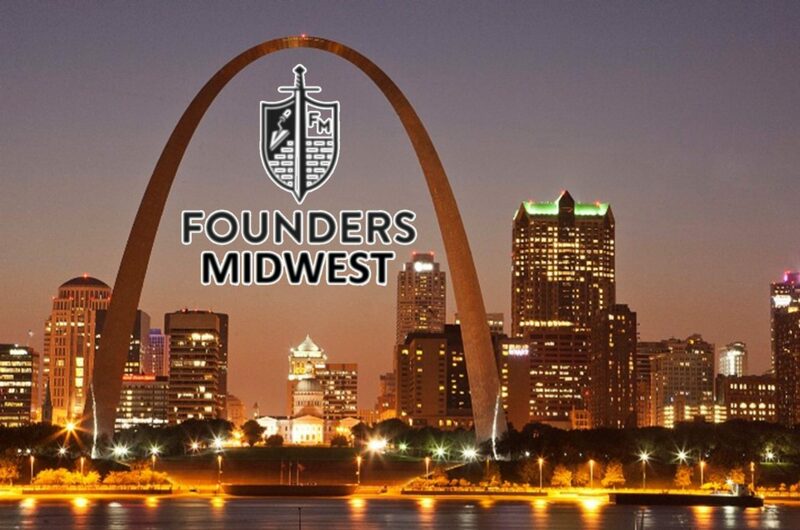 If you would like to attend the Southern Baptist Founders Conference Midwest, be sure to check out our Facebook page or visit our website for more information.